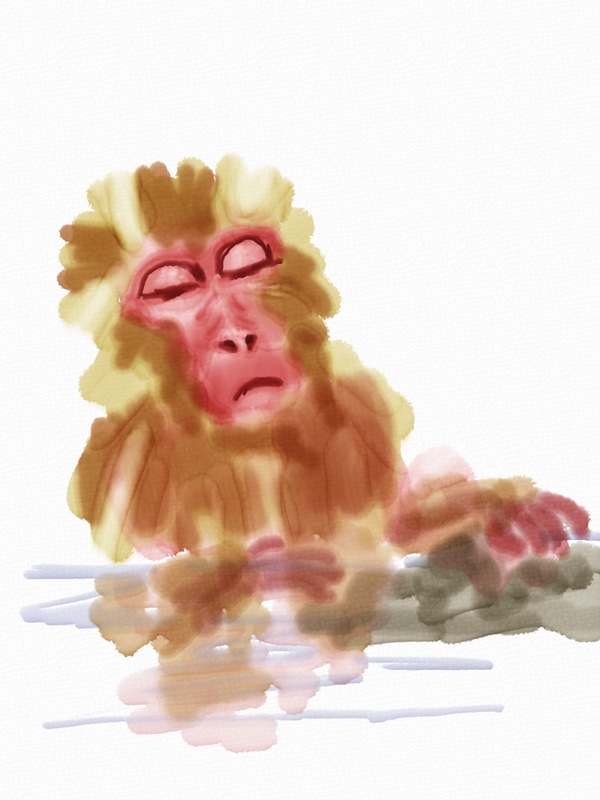 In 2013 I discovered an watercolor painting app called Auryn Ink. 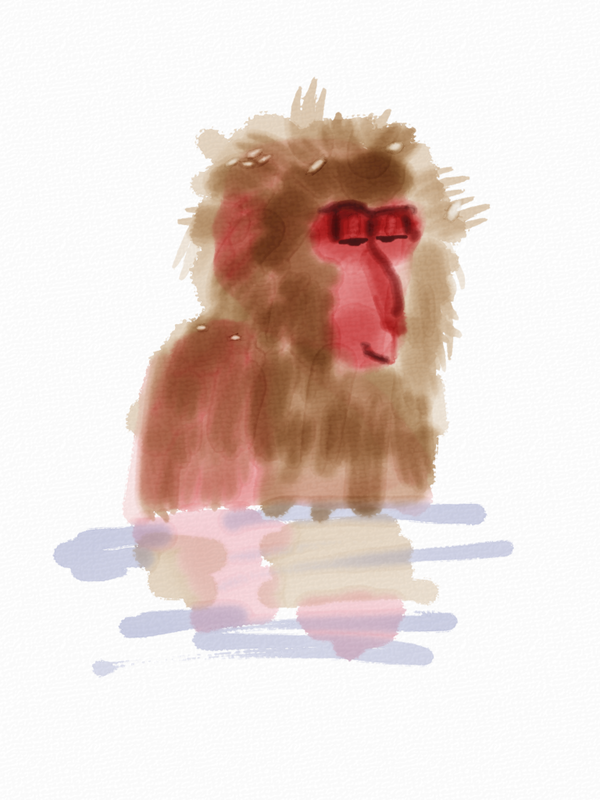 It’s a great app for the iPad. 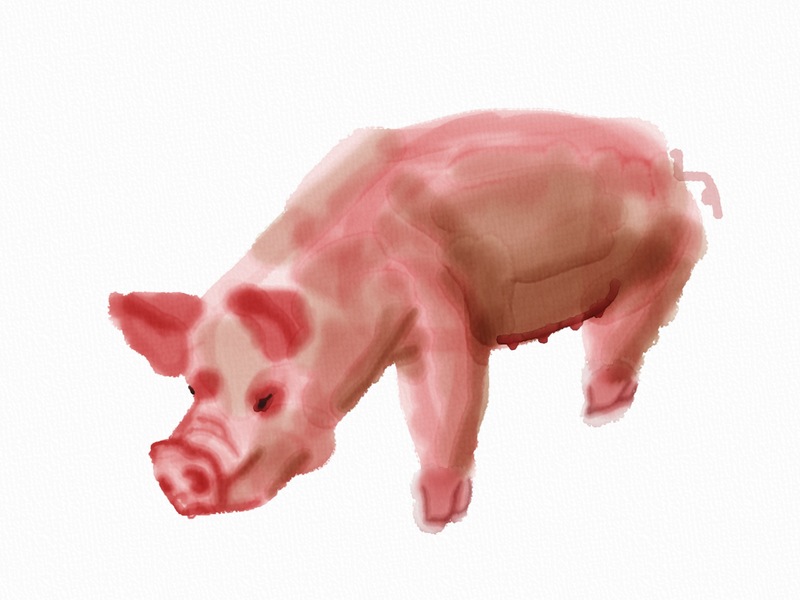 It allows near-realistic watercolor paintings on a tablet. It has good simulations of interactions between pigment and water. 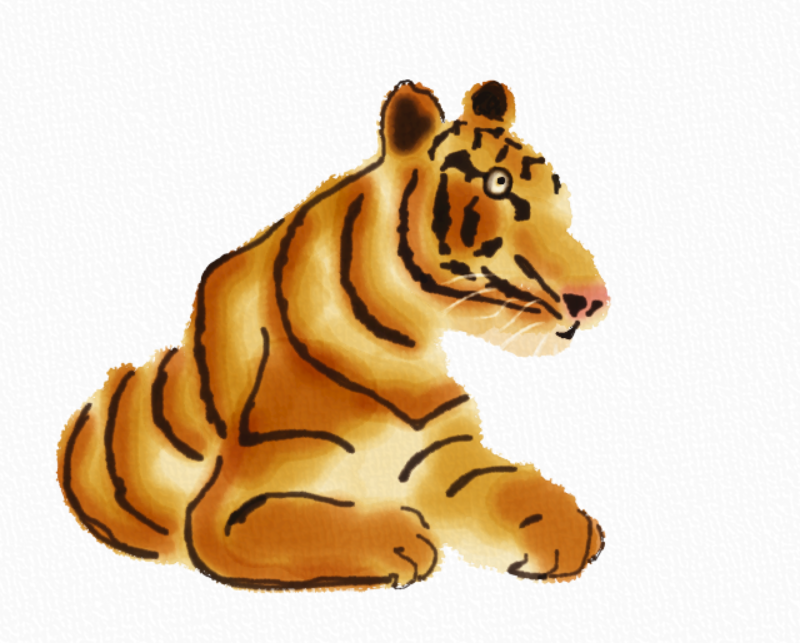 I’ve painted a few simple zodiac animals with it in 2013 and 2014. Here are some of them, plus a few other paintings. 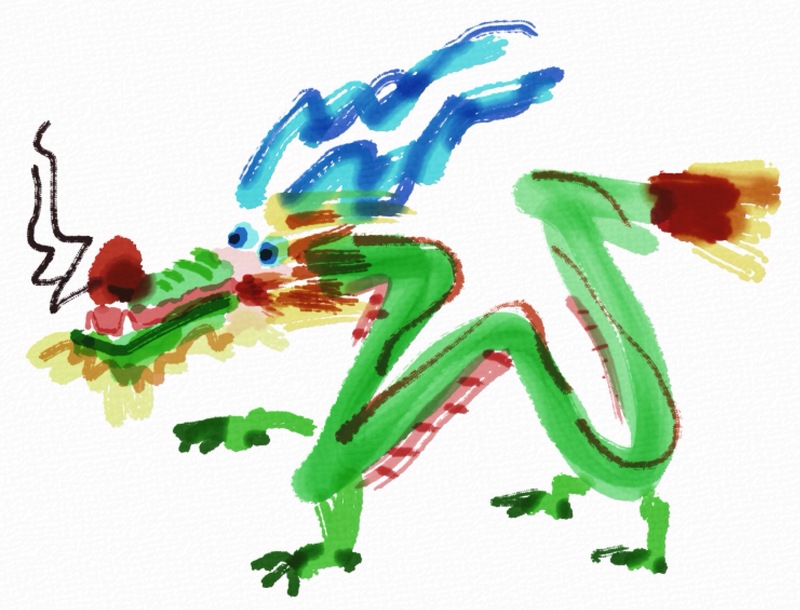 A doodle in Auryn Ink during dinner to entertain kids. 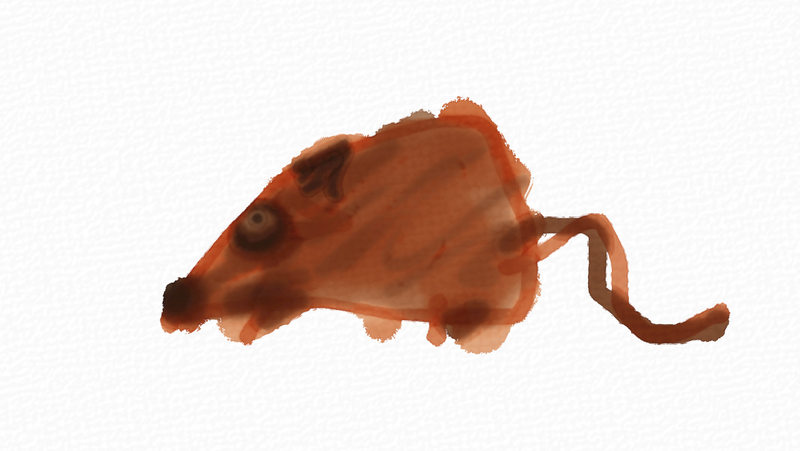 The whole thing started with a impromptu doodling of a rat at dinner to keep unruly kids occupied. 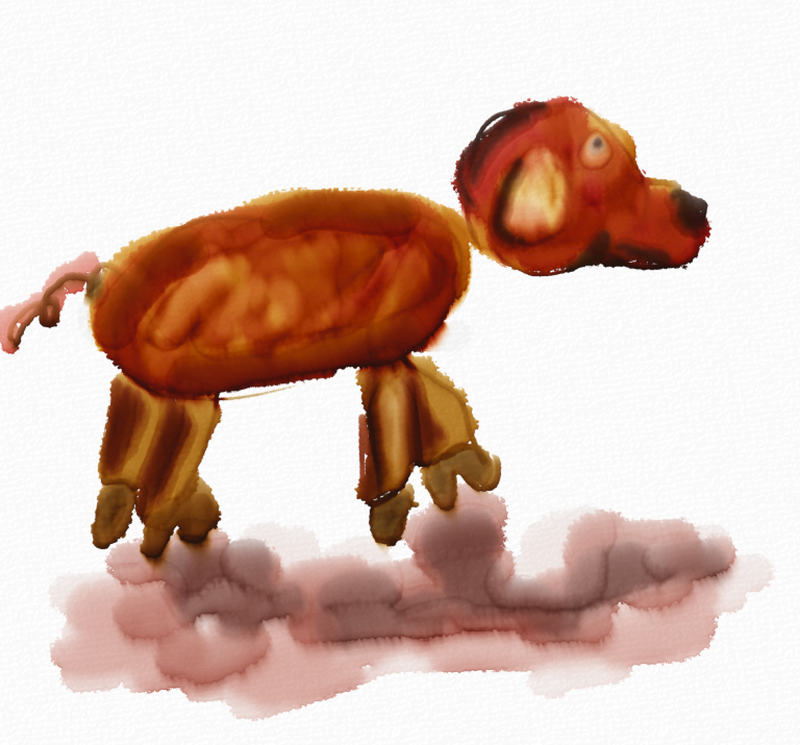 Then a few days later I doodled something that turned out to look like a dog. That got me thinking. 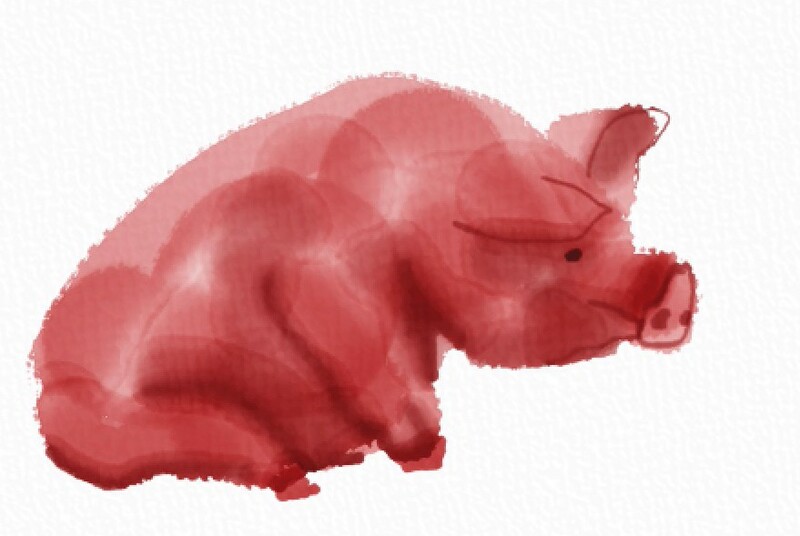 So I doodled a few more at home, thinking that maybe this will turn into the 12 animals of the Chinese zodiac. 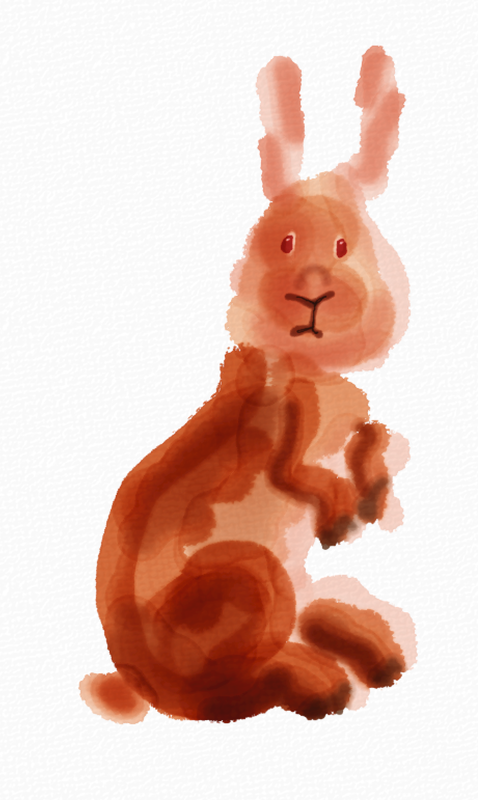 And, lastly, a scared bunny. Happy Easter. Some of these paintings have been uploaded to Wikimedia. 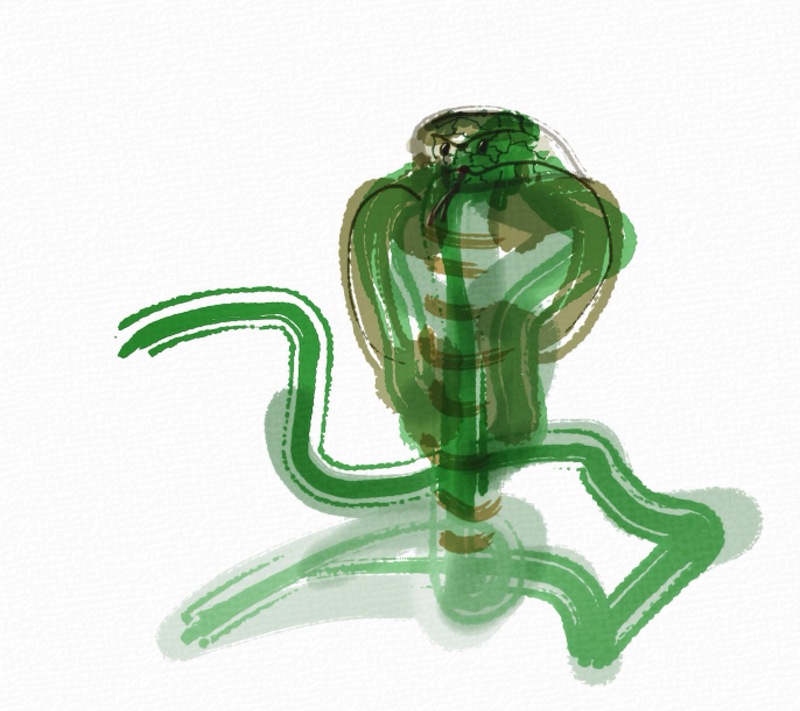 Maybe one day I’ll write an Wikipedia article on Auryn Ink. The name Xinhai Dude 辛亥生 is a pun in Chinese, as it means both “he who was born in Xinhai” as well as “he who studies Xinhai”. I had an ambitious plan to write something about the great Xinhai Revolution of 1911, thus my blog https://xinhaidude.com. But after an initial flurry of activities the initiative petered out. One day I will still carry it through. But for now, this website has turned into a conglomerate of my work on various topics of interest to me, including travel pictures, RC model airplane flying, ice skating, classical music composition, science fiction short stories, evolution and atheism. 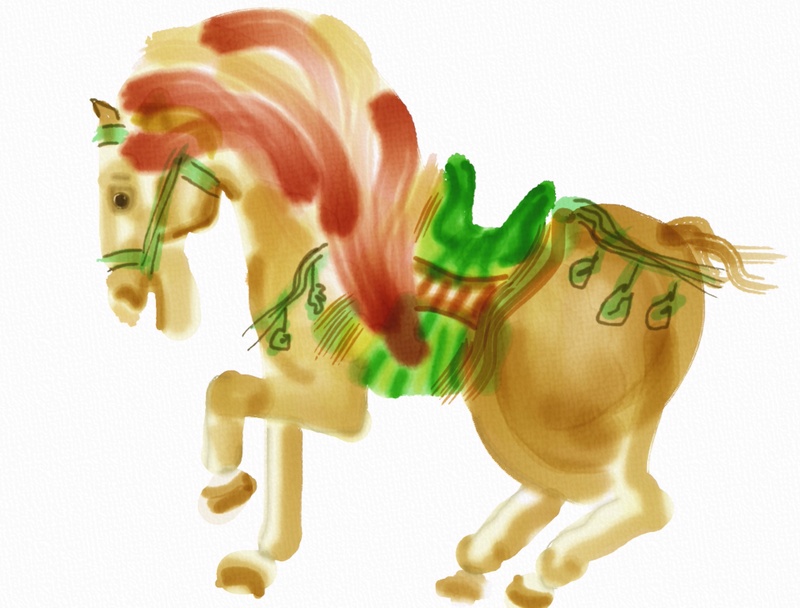 This entry was posted in Being a Wikipedian, Drawings and Paintings and tagged Auryn Ink, Chinese Zodiac Animals, painting, Watercolor. Bookmark the permalink. 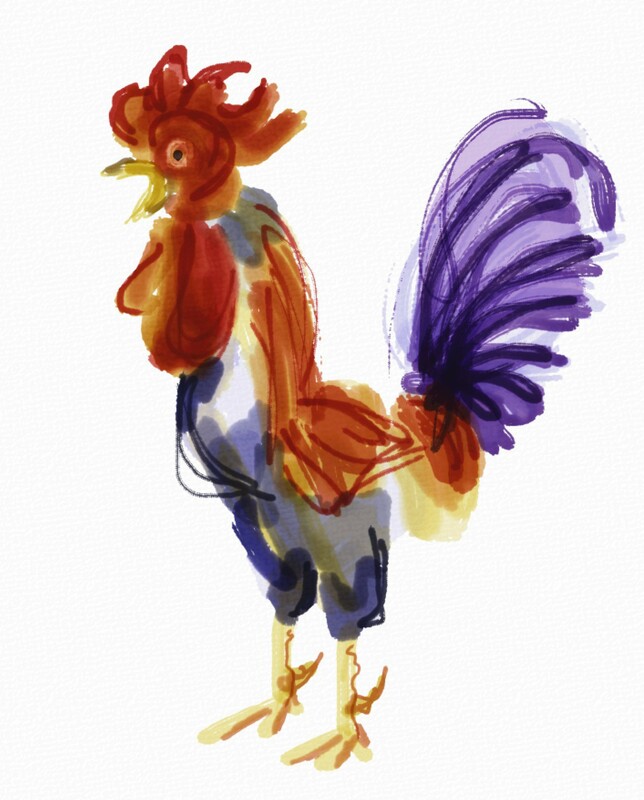 We love your work here at Auryn Ink!